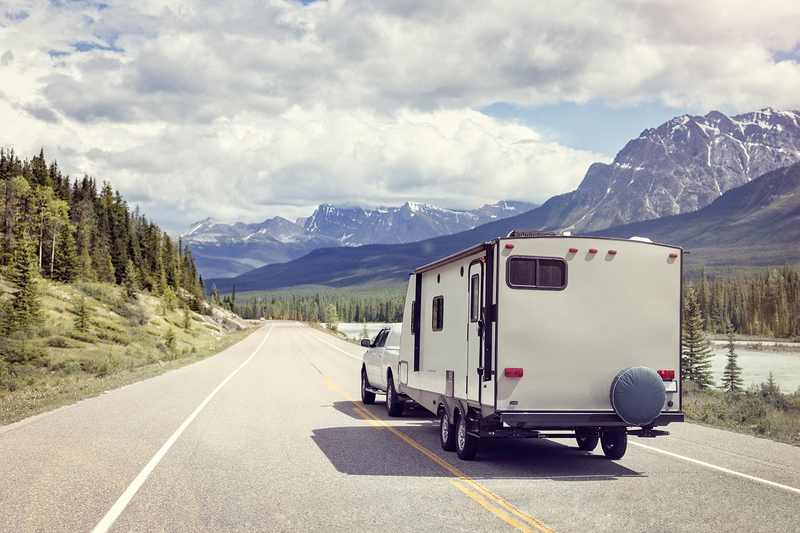 When you are shopping for a towable RV, one of the first things you need to determine is how much weight your vehicle can tow. 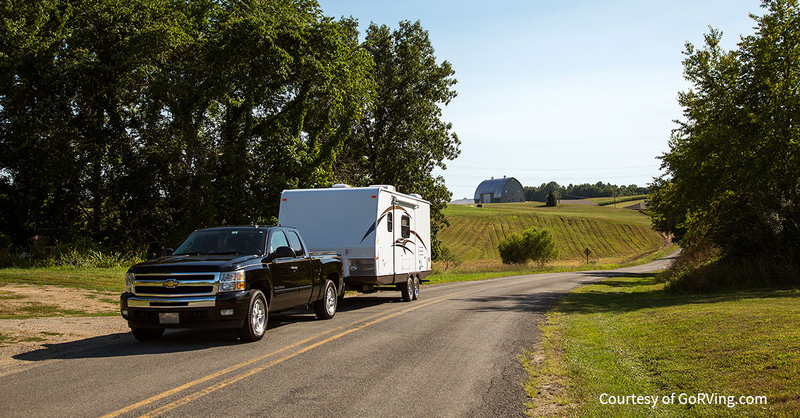 Knowing your towing capacity is extremely important for safely transporting your RV. If you try to pull a camper that exceeds your vehicle’s capacity, you could put your vehicle, yourself and others on the road in serious danger. The first numbers you should learn are the Gross Vehicle Weight Ratings for your vehicle and your RV, as well as the Gross Combined Weight Rating for your vehicle. These can be found on the information placard, which is usually located on your vehicle’s door, as well as in your owner’s manual. Gross Combined Weight Rating: this will tell you the maximum weight of your vehicle and trailer combined. Then, you will want to find out your vehicle’s tow limit, which will tell you much weight your vehicle can pull. You can find this in your owner’s manual, and you can also reference Trailer Life’s comprehensive Tow Guide, which includes information for almost 1,000 makes and models. Remember, the tow ratings depend on a number of factors, including the engine, wheels, suspension, etc., so be sure to find what matches your specific vehicle. 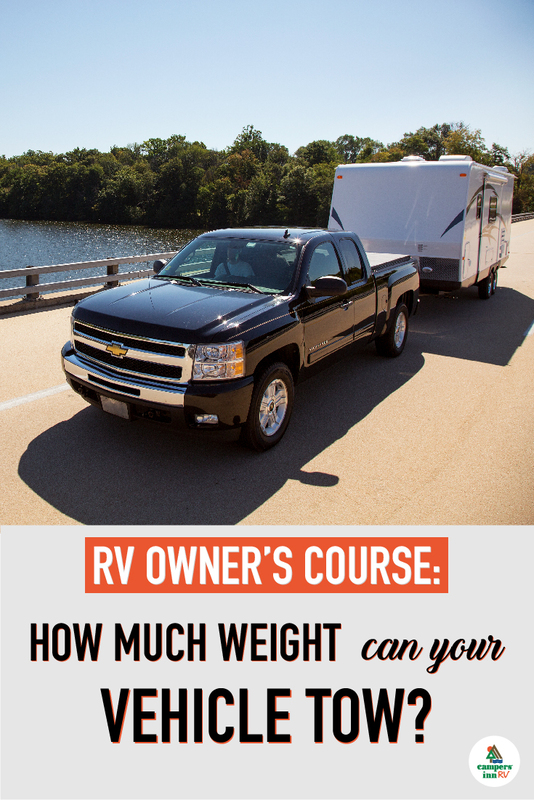 Once you learn your GVWR and GCWR, you will need to determine how much your RV actually weighs. Often, your owner’s manual will list a “dry weight,” which is what the camper weighs with nothing else in it. However, nobody camps or travels in an empty RV. 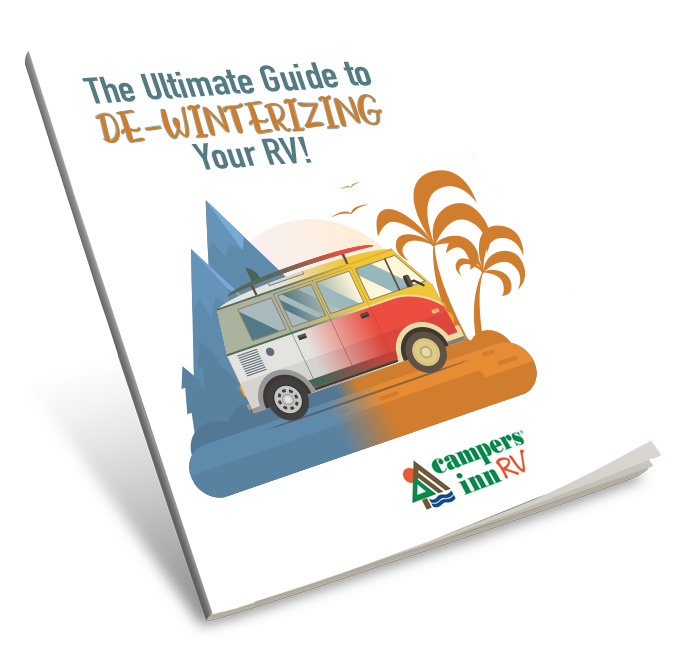 You will need to add in the weight of your food, clothing, gear, full propane and full water tanks to learn your RV’s true weight. Take time to think about how you will be using your camper. If you are going on weekend trips, your cargo load may be lighter. However, if you plan to full-time, boondock or camp for long stretches, then you need to factor in more equipment and supplies. If you are shopping for a toy hauler, you will need to include the weight of your off-road vehicle. Once you have this calculated, you can compare it to your tow vehicle’s GVWR and GCWR to see if it is capable of safely pulling your RV. Campers often choose heavy-duty pickups as their tow vehicles. If you want a fifth wheel, then a pickup is a must. However, some lighter RVs can be towed by half-ton pickups or large SUVs. You can even find ultra-light and compact RVs that can be towed by crossovers or even large sedans. However, it’s important that you don’t exceed your maximum towing capacity. You should always err on the side of caution to keep you and your vehicle safe on the road. If the numbers don’t add up, you need to consider whether you want to upgrade your vehicle or select a different RV. 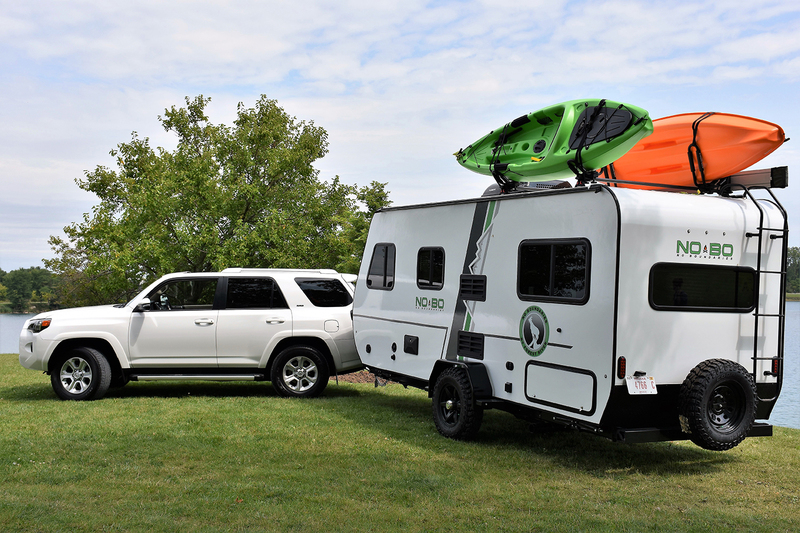 Remember, the more peace-of-mind you have when towing, the more you’ll be able to enjoy your camping trip! Once you've learned how much your vehicle can tow, you need to research the proper hitch to purchase. Check out our blogs, 5 Tips for Purchasing a Travel Trailer Hitch and 4 Questions to Ask When Shopping for a Fifth Wheel Hitch, for more information! Trying to decide which travel trailer floorplan is right for you? Download our free Travel Trailer Floorplan Guide to help find the best fit for you!